What's the point in investing in a professional photo shoot if the pictures are going to stay lost in your computer forever right? Let's hang them beautifully! 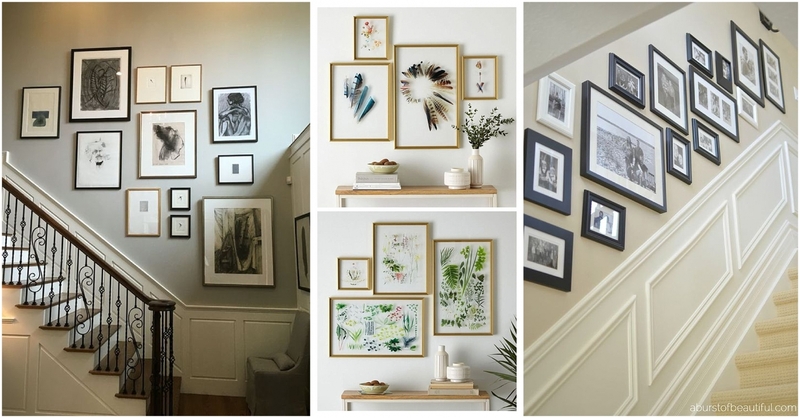 In this blog I'll share with you a step by step guide on how to hang your picture frames and give my advice for choosing which frames will go nicely with your beautiful photographs. Enjoy and learn something! Is there a big empty wall that's screaming for a wall gallery? When you enter your home is it boring and unwelcoming? Or is your bulky sofa the focal point of the room because there's nothing above it to balance it out? It's time to hang some art! 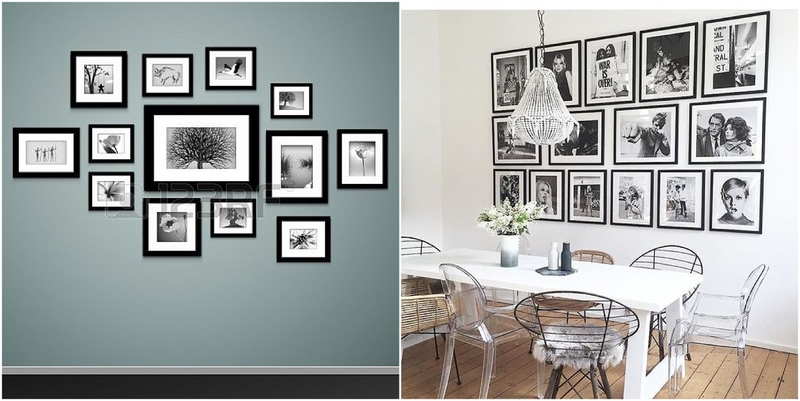 Your photos can fill the entire wall from the floor to the ceiling. They can sit nicely above your bed or sideboard or create beautiful leading lines along your staircase. To start, walk around your home and look for spaces that are 'missing something' and create some magic! This is fun part where you can customise your portraits and picture frames to your own unique style. Modern, antique, boho, rustic..whatever reflects your personality. 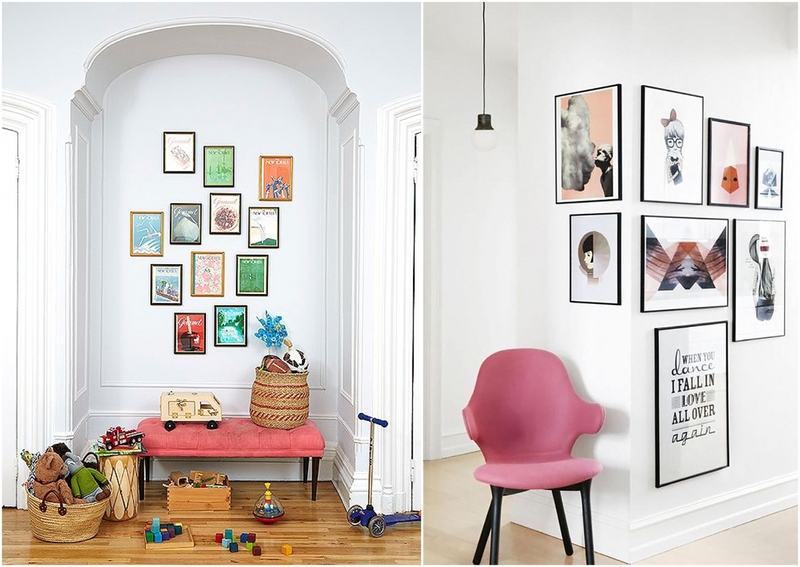 Your wall can now be a masterpiece of who you are as a couple or family. You can find gallery frame sets online, at your local home department, smaller independent shops or have them custom made. Bare in mind that the frames don't have to be the same. Play around a little with mix and matching different textures, colours and materials. This can also make for a fun little shopping adventure where you can visit multiple stores to find unique pieces. It might be a good idea to purchase the frames first before placing your photo print order if you don't already know where you're going to source them. This saves you the panic of trying to find that specific size to fit into your wall gallery. TIP: If you like the idea of being able to move and change your frames regularly, consider leaning them on a long shelf. Starting from the middle with your largest frame, work your way outwards either horizontally, vertically, a grid or randomly placed. If you're having trouble deciding on a layout, take pictures on your phone as you go so you have something to refer back to. 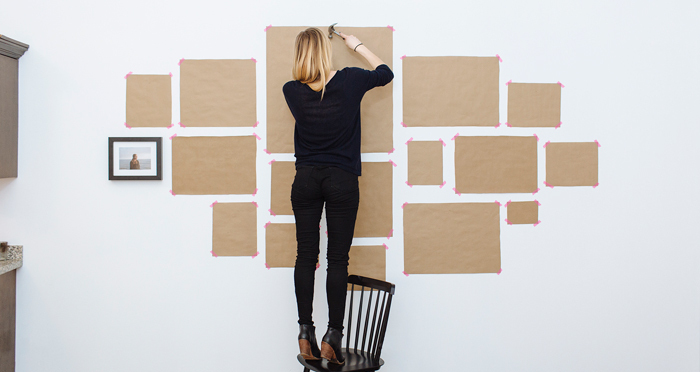 Using kraft paper trace each frame, cut it and place on the wall with painters tape. Step back and ask your self; Is the composition right? Does it fill the space nicely? Will any furniture be in the way? Is it at a comfortable height? The great thing about using paper is that it's not permanent and can be moved if necessary until it's perfect. 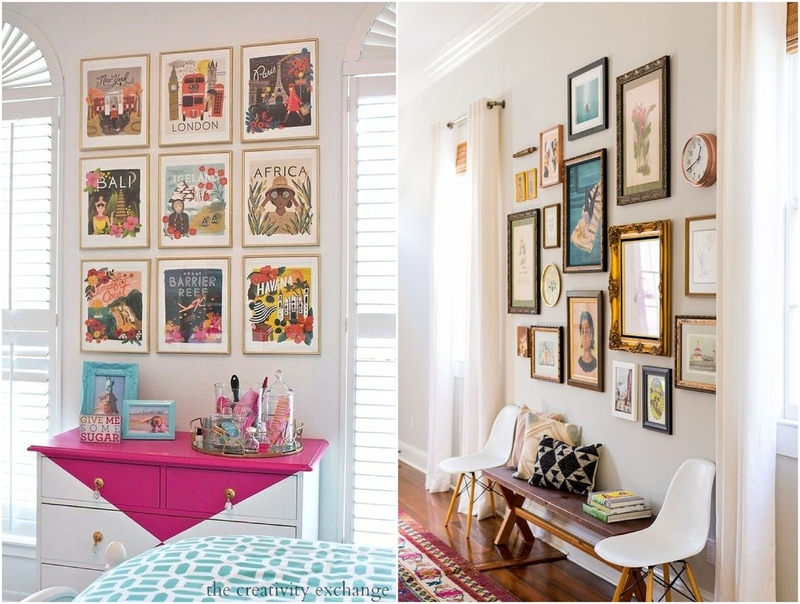 TIP: Hang the centre of the picture at eye level which is about 57 inches high. For groups, centre the whole gallery at 57 inches. This is the height that museums choose to hang their art. 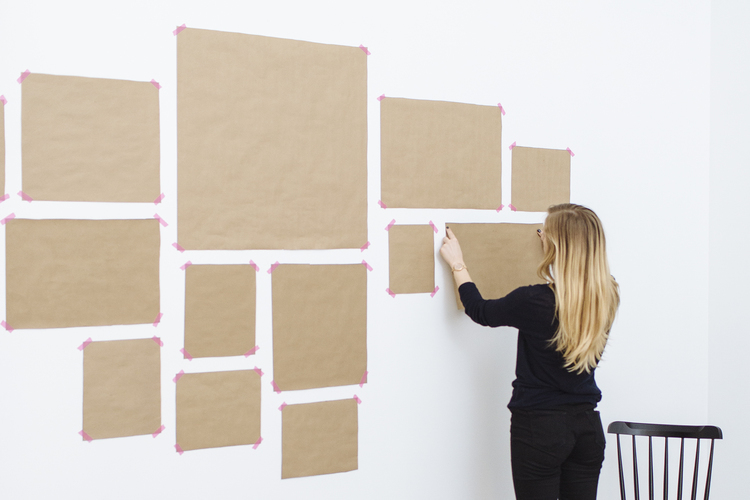 After you've done a paper mock-up it makes the hanging part easy! Find the centre where your frame will be hung, mark the spot, hammer your nail in and pull the paper away. Finally...hang those babies up, step back and admire them every single day. For light weight frames use small nails. For medium weight frames use picture hangers. Use a ruler to find the centre of the frame where you with put the nail or picture hanger. 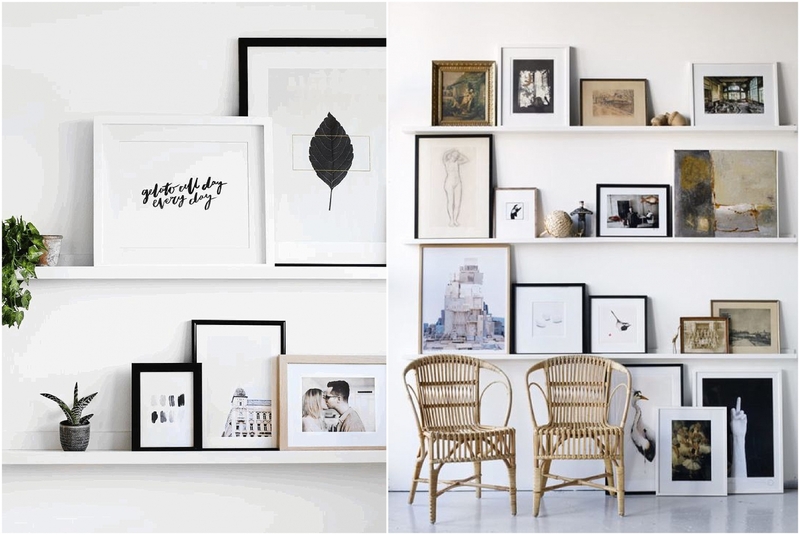 Matching a frame to your existing room decor is more important than matching a colour in your image to the frame itself. 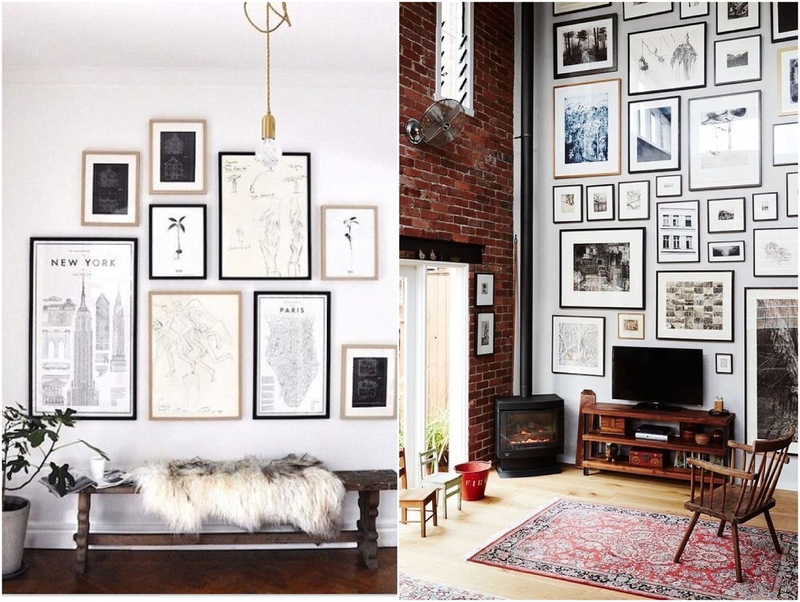 Choose a frame that either complements your current decor, or adds just the right spark of contrast.